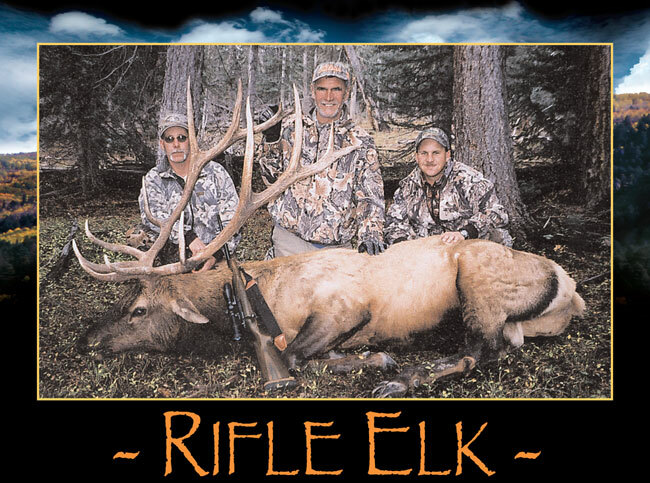 In early October and as the fall colors change and the air becomes crisp RBO’s rifle hunts begin. These hunts are for 5 full days hunting and 6 nights lodging and meals. The rut is still on and the hunting is good with lots of bugling and shooting opportunities. These are high success rate hunts. The weather is generally mild but can be unpredictable and snow can be a reality after the 15th of October due to our high elevations. It is highly recommended that rifles are .30-06 and larger using 180 grain bullets. Most bulls here taken at ranges of between 100 and 200 yards. Landowner licenses are provided for purchase. For hunters “flying in”, Albuquerque, New Mexico is the recommended airport and car rental is available to the meeting location. Plan on approximately 3 hours driving time.